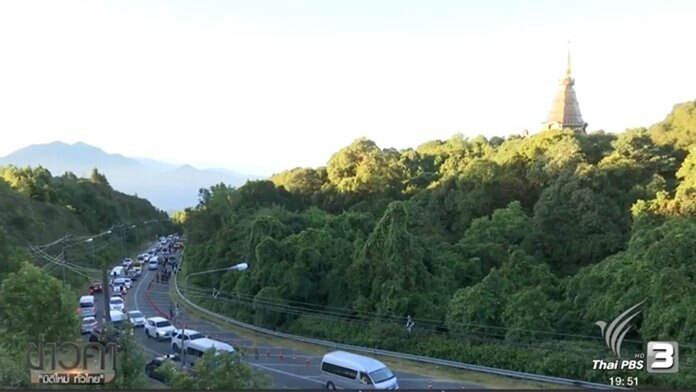 Popular hilltop destinations in Thailand northern provinces drew several thousands of local tourists to visit during the past three-day weekend and experience the beautiful sceneries amid falling temperatures. The most popular destinations included Doi Inthanon in Chiang Mai, and Phu Tab Berk in Phetchabun. 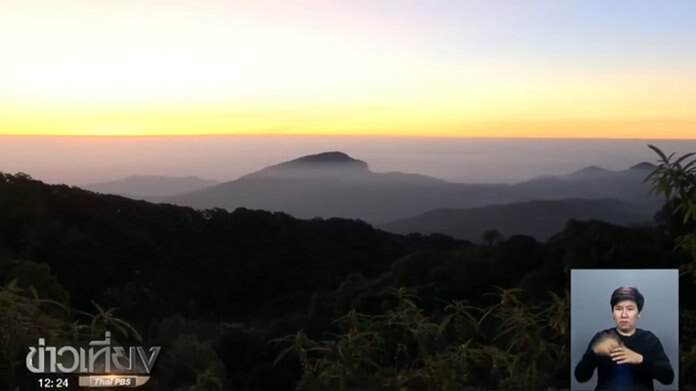 Temperature at Doi Inthanon fell to 4 Celsius at the weekend, attracting thousands of tourists to experience the cold. But apart from the low temperature, this tourist spot also offered the magnificent splendor as the sun rises in the early dawn. It is another splendid prize for those braving the ascent to the top of the slopes. Another attraction is the ‘sea of fog’ that gloriously canvasses the entire territory during the morning hours. Visitors to the place last weekend here were however denied the chance to view what is locally called ‘Mei Kab’ or white flower frost as had appeared the day before. Meanwhile in Phetchabun’s Phu Tab Berk mountain, the deputy governor has instructed local authorities to get tough on tourists making loud noises while camping out at resorts on the hilltop. Instruction came after a Facebook user posted a group of tourists turning on their music player in a pickup truck so loudly till 9 pm last Saturday, disturbing other visitors sharing the same place. His instruction was to find legal channel to deal with this group of visitors and to ban them to the place.